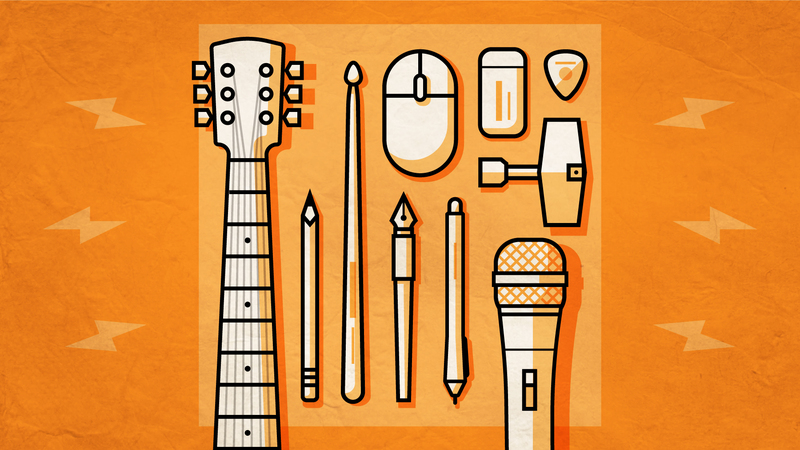 Designing an iconic brand’s most powerful marketing asset. 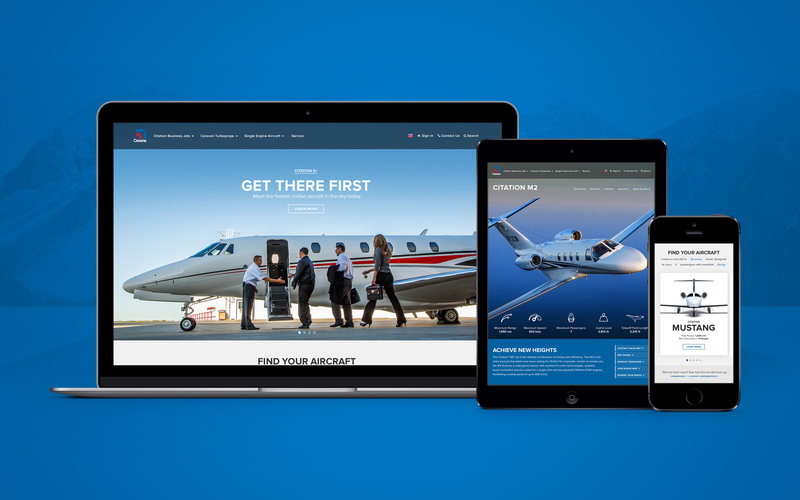 Textron Aviation needed a site redesign for their flagship aircraft brand — Cessna. 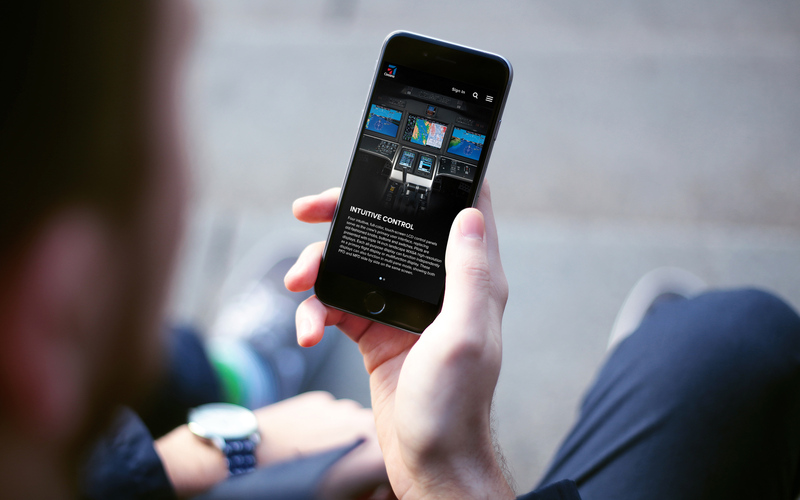 The previous site had been designed prior to the explosion of responsive frameworks and wasn’t mobile-friendly. 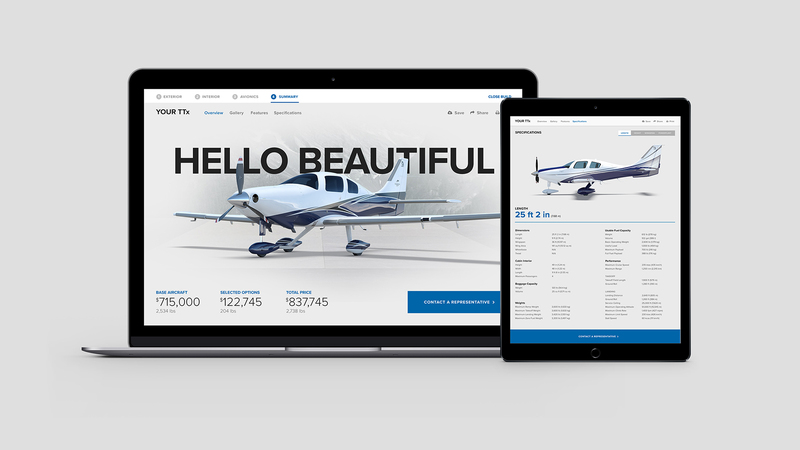 Looking for the best way to showcase their products, Cessna allowed us to have some flexibility and freedom with our approach. 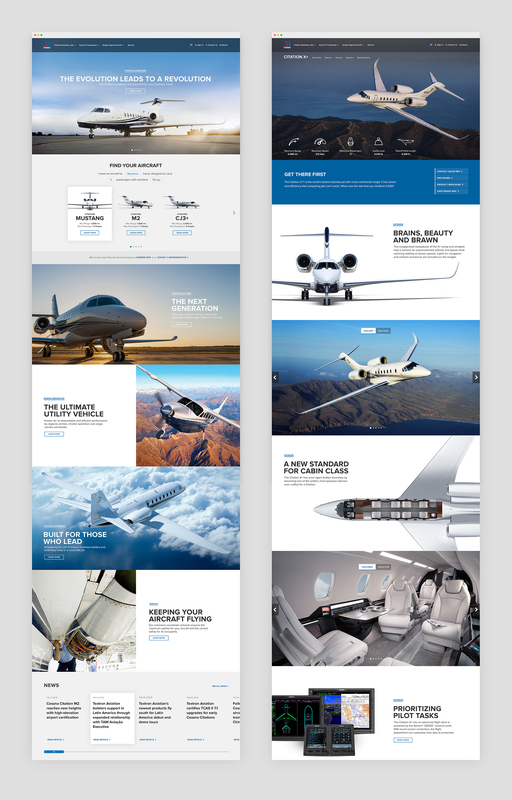 They had a large range of new products coming to market as well as legacy aircraft that needed to be supported, so we approached the project in a way that would allow us to be flexible with the page templates while maintaining brand consistency as the site grows. 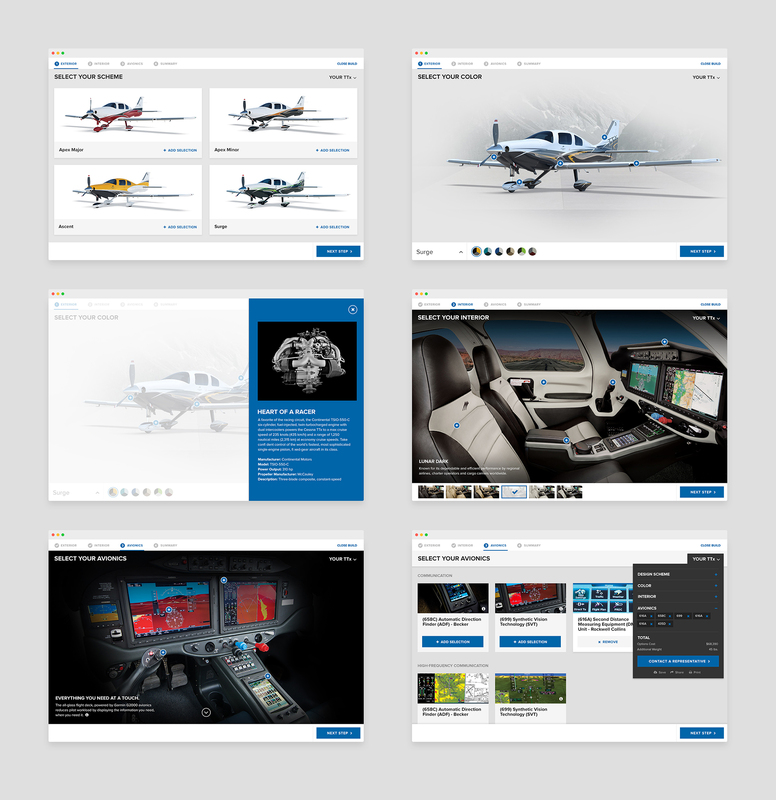 We crafted an interface that was bold, confident and scalable across a wide range of products. 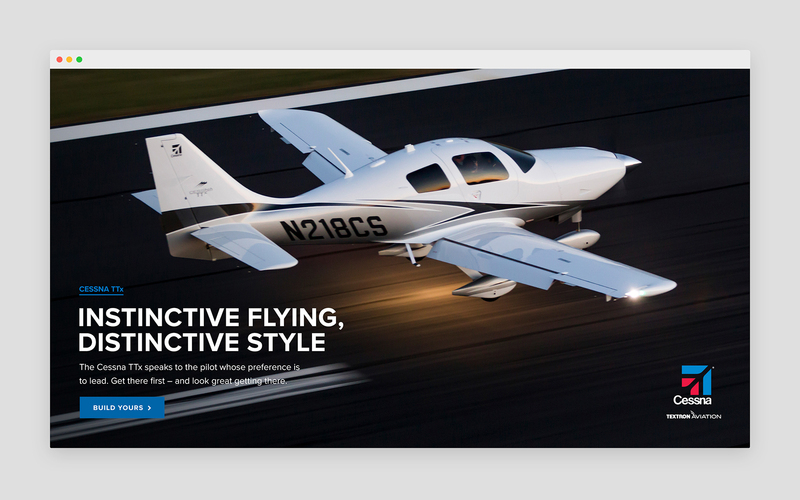 The messaging was given generous white space, and the photography was emphasized as a large focal point. 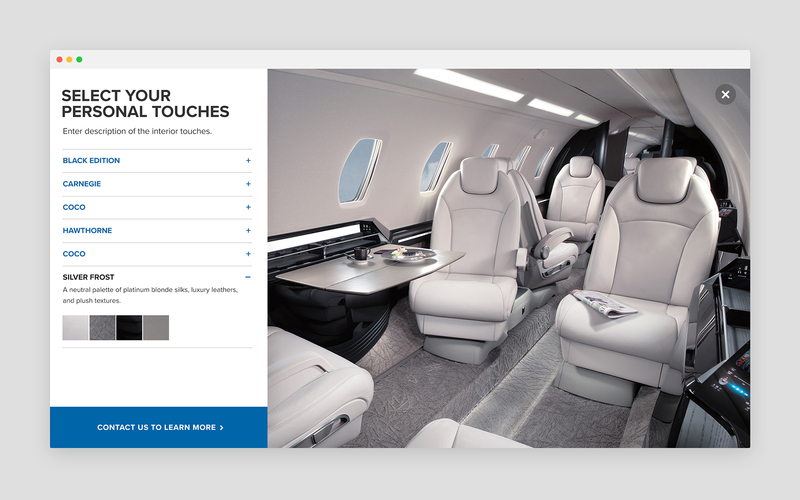 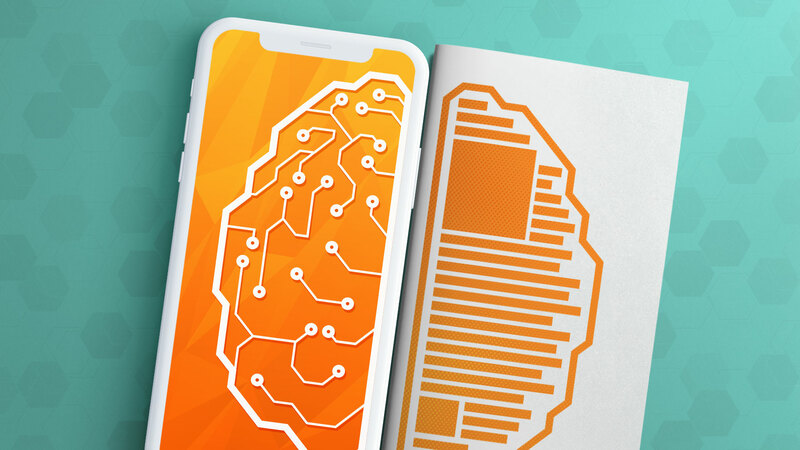 Product pages were designed to be both discoverable and immersive while providing clarity for the details that matter — selecting and comparing interior options, learning about avionics and equipment options, and reviewing technical specs in detail. 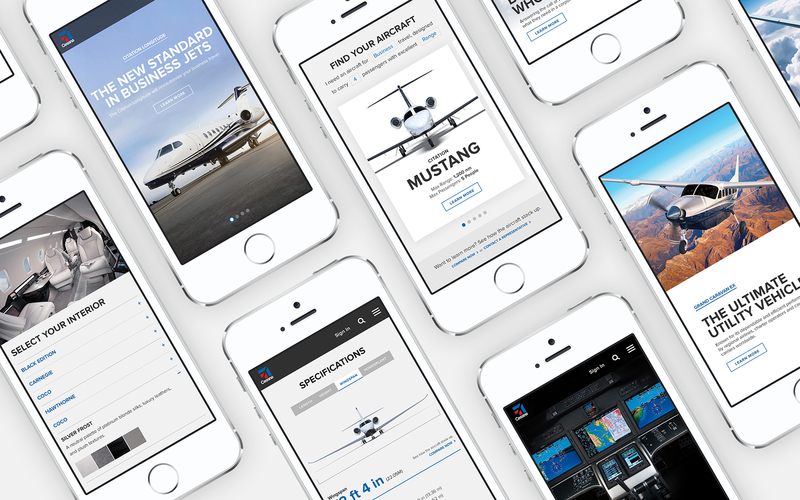 We designed a multi-step tool to configure features of an aircraft, allowing for a more accurate estimate of the cost and performance of the upgrades. 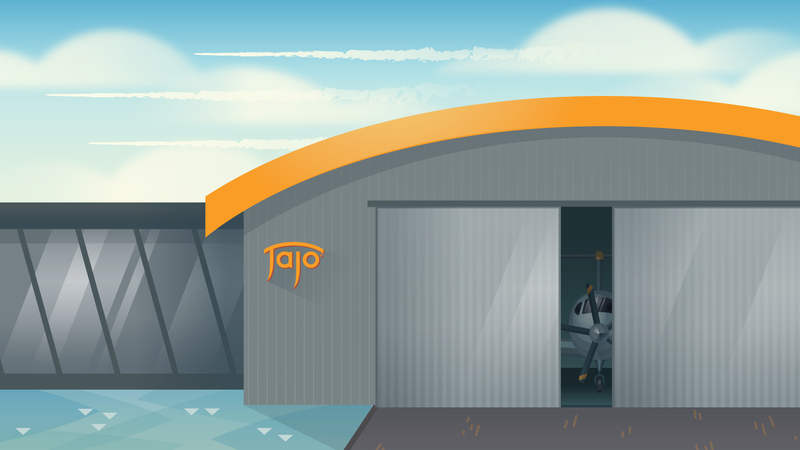 This tool was designed to be both flexible and scalable for future growth and new product offerings.